conquest Europe, since the Roman legions carried their meat "on the hoof". the money safe from robbers. cattle, causing them injury. They were also more agile, lighter, with greater stamina. pull carts. This led to a steep decline in the breed, which was close to being extinct. also as ambulance, messenger and draught dogs. later became the International Rottweiler Club (IRK). 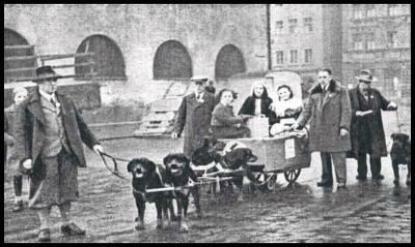 American Kennel Club (AKC) in 1931.
consequence, Rottweiler dogs gained a bad reputation. people. But we tend to forget about animal cruelty and irresponsible ownership. are great dogs, who love working and make great family pets.